Memorial Row | Where every hour is a happy hour! 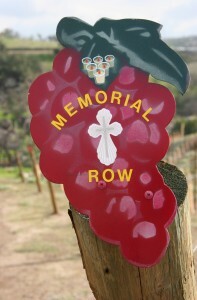 Memorial Rows are a beautiful way to honor your loved ones. 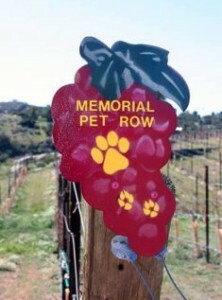 We also honor pets in our Memorial Pet Row, which makes a wonderful gift for grieving pet owners too. In January 1961 a Navy jet crashed at the base of a big oak tree on the property. 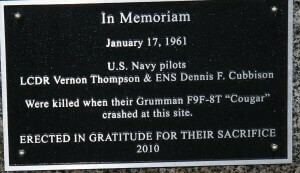 It was an F9F-8T Cougar and both pilots on board were killed. 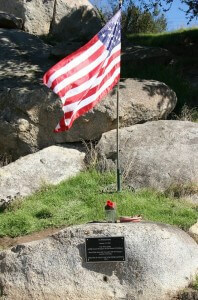 There is a memorial to them placed under the old oak tree. 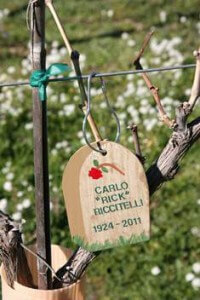 We have designated ROW 25 which starts by the oak as a Memorial to loved ones.